Candidates can get the complete details of Appsource walkin Drive for Fresher Jobs. You can walkin in the given time and dates for Appsource Interview. Appsource Walkin Drive will be held on 30th, 31st August 2018. All the job aspirants should have the skills in Software testing, Java, Dotnet, Android, Web development can only attend the Appsource walkin. Along with these, you can check the essential abilities and skills required for the Appsource walkin Drive from this article. As there is massive competition for IT Jobs experienced hopefuls can utilize this opportunity to get set with Appsource in Bangalore. For more Freshers Jobs look at our web portal Freshersnow daily. If you need to crack the Appsource Walkin in Bangalore, then start your preparation perfect here with these Placement Papers. And also, view the Interview Questions for Appsource Job Openings 2018. To get further details on Other Walkins, the aspirants can bookmark our site and get frequent updates. 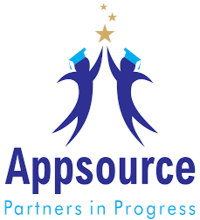 Candidates should get the total information in this post regarding the Appsource Services Ltd Walkin, Roles and Responsibilities Qualifications required For Appsource services Pvt Ltd Walkin, etc. We have been in the business for 16 years and have been giving quality support of our customers crosswise over different ventures. Appsource Services Pvt Ltd part starts with the customer’s need and we put everything on the line to comprehend the nature and intricacy of the customer’s business. It is this power encourages us to furnish our customers with applicants who are of the correct profile. We empower our customers to lessen their Operational cost, cut down the turnaround time for any task, and carry productivity into the framework. We are client driven and are dependable there for any help required by our customers. Our customer-driven model gives center, responsibility and a devoted group to enable our customers to accomplish their business destinations. For advisors and representatives, we offer an advancing knowledge that advances profession development and long-lasting learning. The Appsource is resolved to help associations add to their profitability through opportune and pertinent enrollments. We empower associations to assemble high execution groups and pioneers. For more detailed information aspirants can go through our web portal Freshersnow daily. To get a frequently update information job seekers should keep on browsing our website thoroughly. We will insist on you the useful data according to all other walkins in India, Placement Papers, Freshers Jobs, etc.